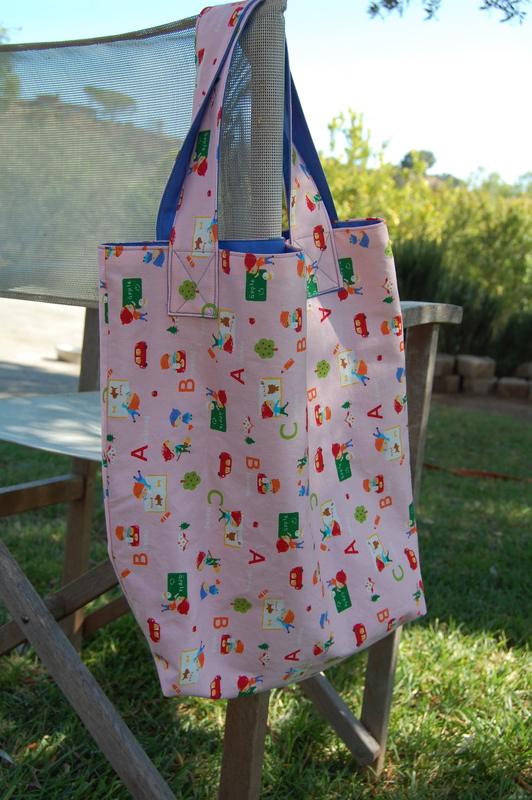 With the start of school fast approaching for us here, I realized that one of the things on my sewing “TO DO” list, was to make each of the girls a new tote bag for school this year. I began having flashbacks to last year when I and my whole crew (all three girls- and their “stuff”) would hurry across the parking lot to school, frequently dropping the random sock, blankie or “galosh” along the way, only to have to go back to retrieve it later and return to the correct classroom! I was never quite sure if those around us pitied me or found entertainment in this spectacle. Mind you, I was usually holding a 2 year old at the time as well. While, of course, I can laugh about it now, it was not so amusing to me at the time. I’ve been doing this school thing for a few years now, you would think I would have it down pretty well by now-ha!! Well this is the year to at least try being organized!! 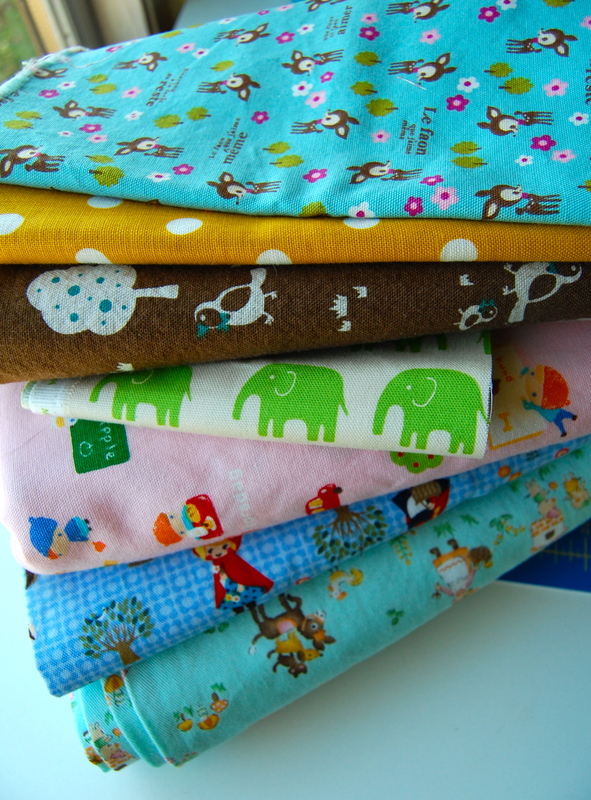 They all got to pick their fabric out of what I had in my heavier weight cotton pile, all from my most favorite japanese fabric store. After a little pursuasion away from the few Echino yards I’m hoarding, we were on our way. 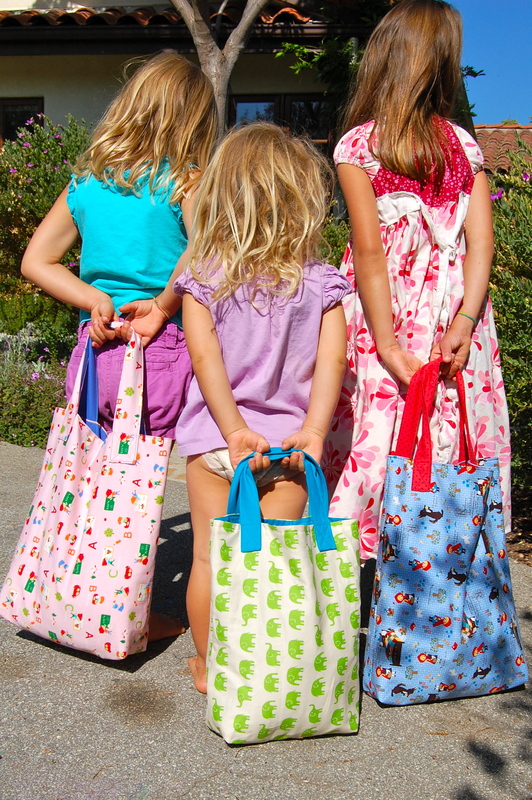 I spent the whole day sewing and was actually able to pull together all three bags. “Get er’ done” was my motto!!! I used this super easy tutorial– ahheemm, ahh yeah, I needed a tutorial!! What can I say, I don’t sew that many bags!!! This smaller one is for Miss N who is off to her first full year of two day nursery school. She needs to carry things like her blankie, extra socks, diapers, wipes, boxes of tissue, etc. this will be just perfect for her and is my personal favorite of the three. This one is for our middle daughter, Miss A!! She chose this adorable swedish school print. I love the clarity of these colors. I wanted to line it with green polka dots but she chose blue!! I think it turned out to be a great choice. 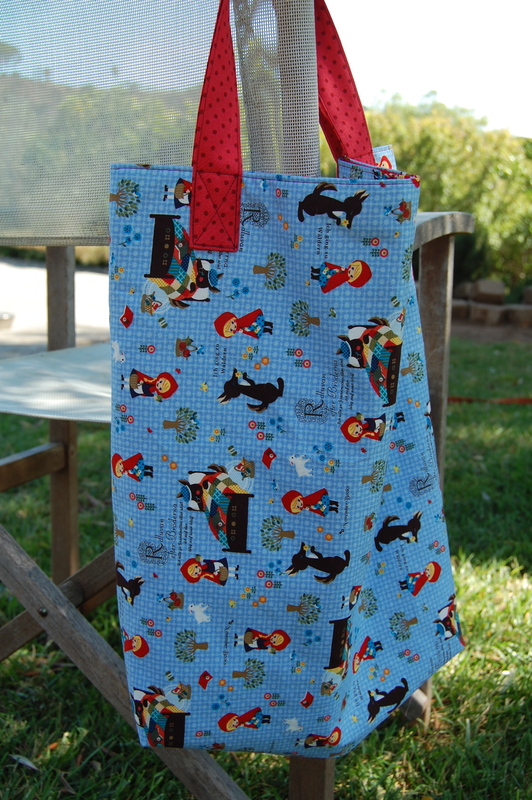 This last one is rather on the large side, for Miss K. She’ll be able to put just about everything in there. Good or bad? Uhh not sure yet!! She’s starting first grade but doesn’t have need for a back pack yet. So this will be good for taking home her crafts, school papers, lunch box, jackets, etc. Here again, the lining was her choice. I voted for yellow but was overruled. At least this won’t show dirt, and it actually looks really cute I think! These were fun, quick and easy to make. I’m thinking I might make some more of the smallish ones to have on hand for birthday gifts this year!! 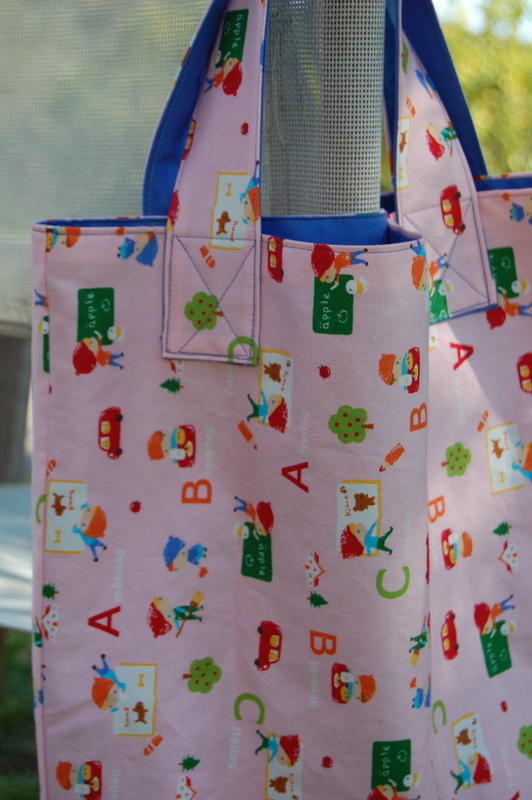 My girls use tote bags for so many different things, I think their friends might like them too. Next, it’s on to those dresses I still have on my list!! Tic, Toc!!!! Great tutorial and those bags came out so well. Thanks for sharing! 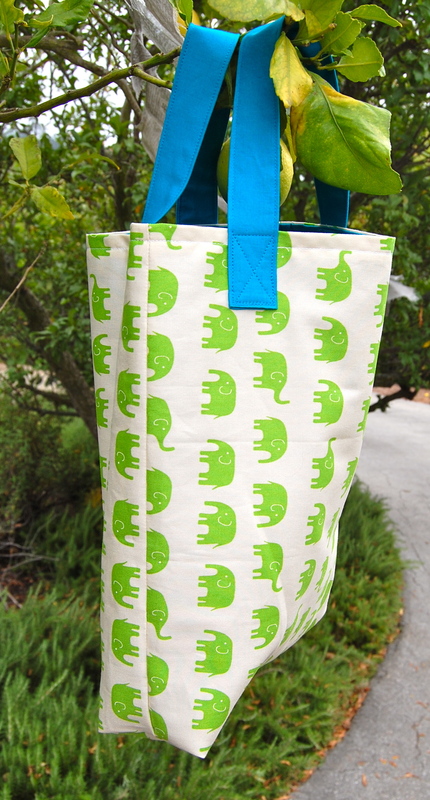 And thanks to you I finally found that elephant fabric I’ve been seeing everywhere online but had no idea who made it! Hope your girls have a great start at school, mine’s starting 1st grade too. 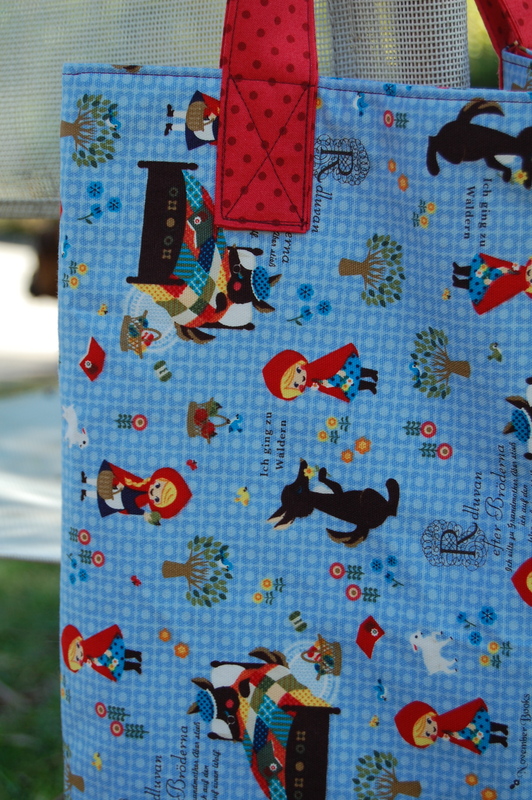 Thanks Kathryn, glad you found the mystery fabric!! Exciting time, huh entering first grade!!!! Best to your little one too. Once again you start my morning off with a smile!! How fun and creative you are-with the help of the girls, ofcourse!!! I bet you could take some orders for these–with school fast approaching!!! 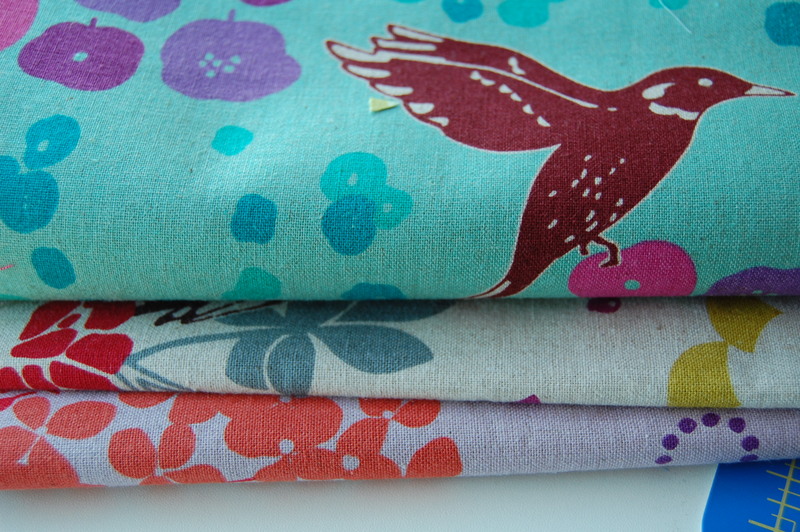 and now that all that fabric is gone from your stash you might have an excuse to buy more! haha– yes, ANOTHER excuse!!! i like your logic Katie…. 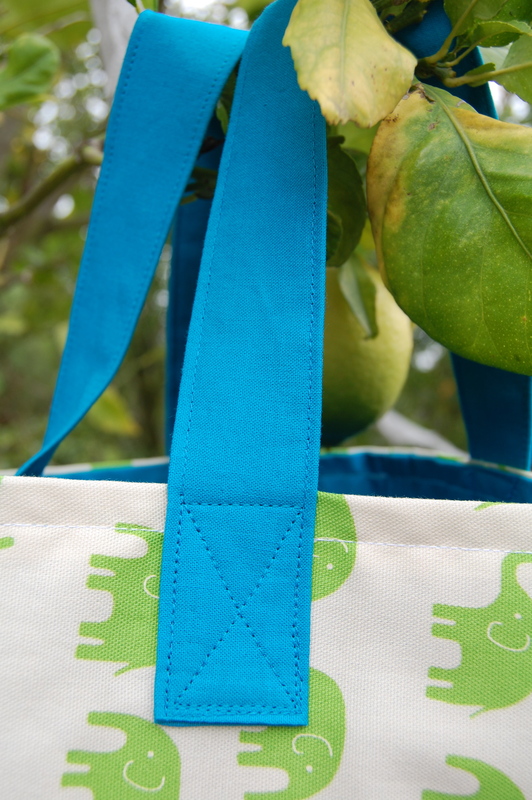 How do you get all these adorable projects done? You have such great energy! Can’t wait to see those dresses! Your work is always so cute!! !